– Jeddah hotel stay after Hajj if needed subject to Saudi govt regulation. 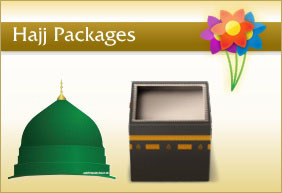 Package program dates may change one day earlier or later due to Saudi local moon sighting. Accommodation in Mina: VIP tents by Jamarat. Transportation by Train or private buses. Accommodation in Madina: Dallah Taibah Hotel close to Masjid-an-Nabawi (2,3 or 4 Nights stay based on package).